This edited article about William Brodie originally appeared in Look and Learn issue number 697 published on 24 May 1975. The young ladies in the drawing-room could not stop talking about the handsome and prosperous bachelor who was coming to tea. And saintly was just how William Brodie appeared to the wealthy merchants he mixed with in Edinburgh society. A bachelor of temperate habits, a city councillor, a skilful cabinet-maker and carpenter, he seemed faultless. The only thing held against him was his shyness and modesty that made him a difficult person to really know. They little guessed then that William Brodie was hiding plenty from them. 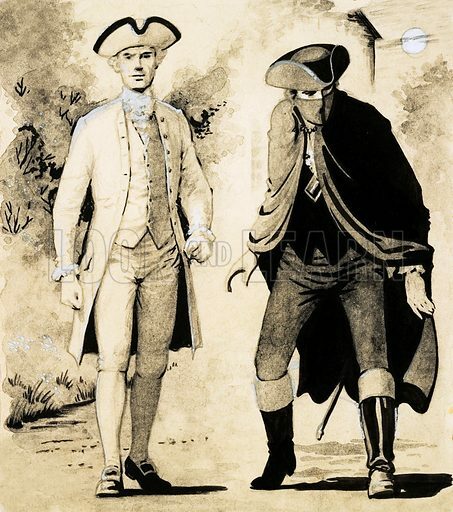 Just what it was emerged in 1788 when Brodie – then forty-eight and still unmarried – was tried and executed at Tolbooth Prison as the leader of a gang of vicious underworld burglars who had long terrorized the city. This edited article about the sense of smell originally appeared in Look and Learn issue number 697 published on 24 May 1975. When anyone talks about a “keen sense of smell” we often think of dogs in general – and bloodhounds in particular. Yet in spite of the fact that smell is the weakest of our five senses, human noses can detect very small traces of certain chemical odours, even if they are in the air with a concentration of less than one part in a million. Our ability to smell begins with the nostrils. These lead into what is called the “nasal cavity” which is lined, at its top part, with thousands of olfactory (smell-detecting) cells. From these cells nerve fibres lead to the brain. When air is breathed into the nasal cavity, any gases, dust particles or traces of vapour in the air irritate the sensitive olfactory cells, which then send “odour messages” to the brain. Many substances, of course, do not affect the olfactory cells so that we cannot smell them. Water vapour and air itself are good examples. Because these don’t cause odour messages to be sent to the brain, we simply say they are “odourless” or don’t smell. In general, we tend to divide odours into two kinds – pleasant and unpleasant. Most of us agree that the smell of a rose is pleasant, but that the odour of decaying food is not. But sometimes it can be a matter of opinion – some people get quite ill when they smell lavender-scented soap while others like the smell of ripe gorgonzola cheese! Most things have a characteristic odour because of some chemical substance they contain. It is this chemical which acts upon the olfactory cells in the nasal cavity and produces the “smell” sensation. The familiar odour of bananas, for example, is caused by a pale yellow liquid chemical called amyl acetate which is present in the fruit. The bad smells from decaying food are caused by certain gases, like phosgene, from decaying fish, and hydrogen sulphide from rotten eggs. Our olfactory cells are really sensitive chemical laboratories which analyse separate smells. The most pleasant odours are often a mixture of many chemical substances. 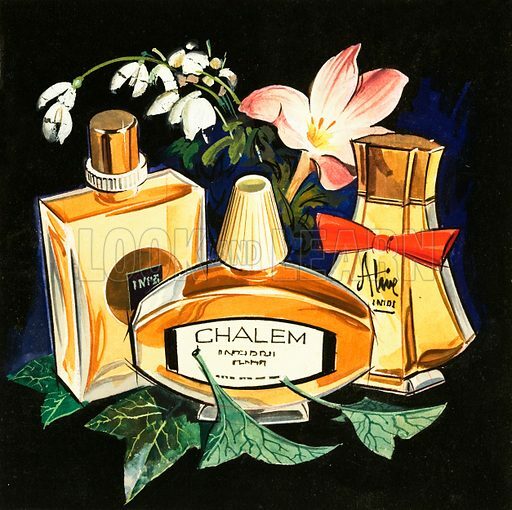 Modern perfumes can contain more than two hundred chemicals, all expertly blended together. This edited article about Kung-fu originally appeared in Look and Learn issue number 697 published on 24 May 1975. Bands of men could be seen carrying out a strange ritual all over the Shantung province of China in the year 1900. They were bowing, stamping and knocking their heads on the ground with their bodies facing the south-east. Under the exhortation of their leader, these men would work themselves into a trance-like frenzy in which they believed they were immune to bullets or swords. 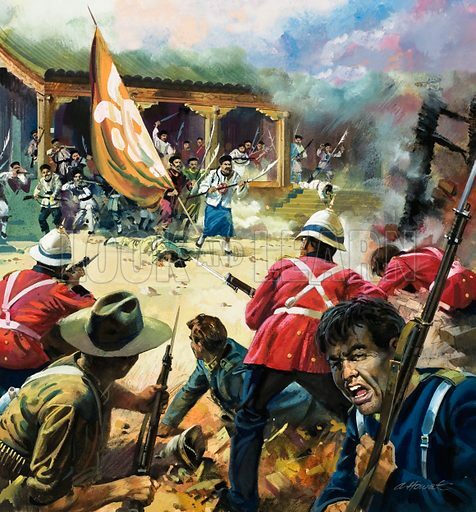 Finally, in their thousands, they would hurl themselves at the homes and offices of the Europeans living in Peking, determined at all costs to throw the “foreign devils” into the sea. These were the I Ho Chuan, or “Fists of Righteous Harmony”, better known as The Boxers, the most famous army of kung-fu fighters in history. Skilled, fearless and fanatical, the Boxers proved no match for Western fire power. Peking was besieged for 55 days, and when the city was finally relieved, the great mass of peasant-fighters melted away, leaving thousands of casualties behind them. Puzzled and dismayed, they felt themselves betrayed by their leaders, who had sworn that nothing could harm them. What had gone wrong? The great kung-fu teachers of the past would have had a ready enough answer: the secrets of China’s great martial art had been divulged to non-Buddhists and those who were not “gentle and merciful.” And, of course, utter disaster had been the result. This edited article about crazy military inventions originally appeared in Look and Learn issue number 697 published on 24 May 1975. War brings forward plenty of crazy inventions as well as good ones. At the beginning of the Second World War, death rays were all the rage. The trouble was that none of them worked until the terrible atomic bomb made its ghastly debut in 1945. Incredible schemes in this century, which never got off the ground in more ways than one, have included shells filled with poisonous snakes. When you come to think about it, this would not have been the easiest of things to arrange, and was liable to have backfired if the snakes had decided to crawl back to your own trench. Even the revolting use of poisonous gas, which was tried to such deadly effect, sometimes went wrong when the wind suddenly changed and blew the gas back to the user. 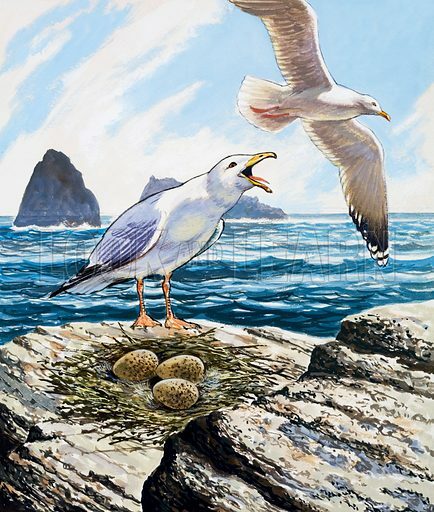 The prize for a silly idea must go to the seagull scheme, which went like this. First build yourself a fleet of dummy submarines, then let their non-dummy guns fire grain into the air, which would then be swallowed by excited seagulls. From then on, when the seagulls have been taught to identify submarines with a good tuck-in, any real enemy “sub” that surfaces will be besieged by frantic birds, waiting for their free rations. “Ho, ho!” think the gunners on shore, seeing a cloud of seagulls out to sea. “There must be a submarine on the surface.” Not surprisingly, it was never tried. This edited article about chocolate originally appeared in Look and Learn issue number 697 published on 24 May 1975. The Aztecs liked drinking cocoa almost as much as they enjoyed a good fight. 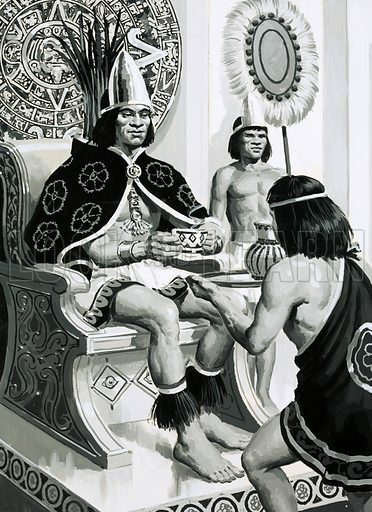 Their last emperor, Montezuma, used to get through fifty golden cups every day, as Hernando Cortez and his band of Spanish adventurers noted, after they had invaded Mexico in 1519 and conquered the remarkable Aztecs. It was certainly a better habit than tearing out human hearts as a sacrifice to the gods to ensure that the sun came up each day, another local custom. Not that Cortez and his men discovered the humble cocoa bean, for, a quarter of a century earlier, Christopher Columbus had shipped a number of beans back to Europe. But the story of chocolate really begins with Cortez and his daring band of adventurers. The Aztecs believed that their gods had provided them with cocoa trees, and they made chocolate from crushed cocoa beans, corn and water, and proceeded to spice it with pepper. This was too much for the Spaniards. But one of them had the bright idea of putting sugar into the brew, and it rapidly became so popular that women had steaming cups of it brought into church to sustain them during the sermon. This edited article about J M W Turner originally appeared in Look and Learn issue number 697 published on 24 May 1975. When a 28-year-old barber, who worked near London’s Covent Garden Market, and his 34-year-old wife had a son in April 1775, they were, of course, delighted. They probably did not know that this day, the 23rd April, was the very day of the year on which Shakespeare, England’s greatest writer, had been born in the 16th century; they certainly had no idea that England’s most famous painter had his birthday on the same day of the year, and that they were his parents. For William and Mary Turner were simple people; the father was really a Devon man, who had come to London after the death of his own father years before, and who had set up shop as a barber in what was then quite a fashionable part of the town. Being near the theatres, William used to dress wigs for actors as well as gentry, and was kept quite busy at these and the other tasks of a barber’s trade. His wife was the daughter of a London butcher, and in those days, was probably glad to marry a promising tradesman. Their son, born within a year of their wedding, was christened at the nearby church of St. Paul’s, Covent Garden; three years later, a little sister was also christened there. She died, however, when the boy was only eleven, and he felt the loss very deeply. The heart of London, with its squares and alleys, does not seem a very promising place to grow up in for a lover of rich colours such as young Turner became. Grey stone, dull brick, and grimy plane trees did not offer much splendour, and the sun shone only fitfully in Maiden Lane, where the family lived over the barber’s shop. But young Turner was fortunate because, when his sister died, the parents feared for their son’s health so much that they sent him to lodge with an uncle at Brentford, in Middlesex, which at that time was a country village near the north bank of the Thames. This edited article about the Orkney Isles originally appeared in Look and Learn issue number 697 published on 24 May 1975. In a large room, deeply carpeted, two men in naval uniform stood in front of a wall-chart of the North Sea. 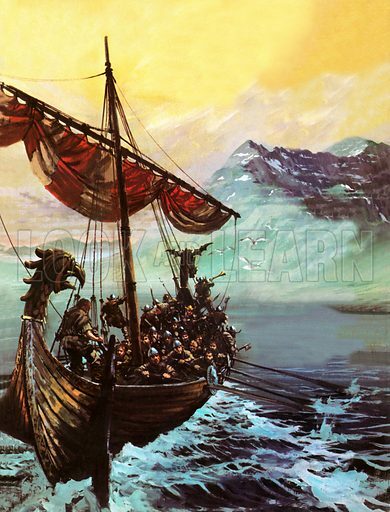 The older man, a stick in his hand, traced a line slowly from the German naval base at Kiel across to a group of islands off the north coast of Scotland – the Orkney Isles. The year was 1939, With Lieutenant Prien, commander of U-boat U47, Admiral Doenitz, Flag Officer (Submarines) of the German Navy, was planning the impossible – an attack on Scapa Flow, the largest expanse of water at the southern end of the Orkneys. Scapa Flow is almost surrounded by small islands, and for two world wars ships of the British Home Fleet were based there. The reasons for choosing Scapa as a naval base were these: firstly, the route from the Atlantic to Germany must pass either through the English Channel, or between North Scotland and Norway. Battleships at Scapa Flow could easily sail to intercept any enemy ships using this last passage. Secondly, tides and currents swirl dangerously through the channels which separate the little islands around the Flow, making those channels extremely dangerous for shipping, so providing a natural defence from attack from the sea. Thus thought the Admiralty. 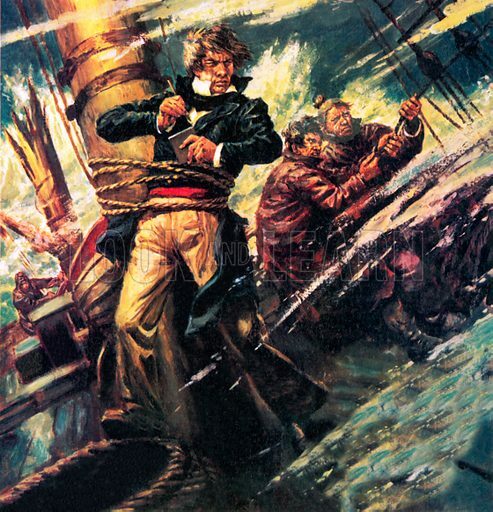 Admiral Doenitz, however, thought otherwise. On October 8, 1939, Lieutenant Prien’s submarine slipped quietly out of Kiel and into the North Sea. Five days later, as dawn broke, Prien could see a faint blue streak on the horizon. It was Orkney. This edited article about Sir Robert Peel originally appeared in Look and Learn issue number 697 published on 24 May 1975. The Man who was to become the founder of the London police force was born in 1788, the grandson of a wealthy Lancashire cotton manufacturer. Robert Peel was sent to Harrow School and Oxford University, where he showed a brilliant aptitude for both Latin, Greek and mathematics. In 1809, Peel became a member of parliament and soon made a name for himself as an able and hardworking politician. At the age of 24, he became Secretary for Ireland, a most responsible position at that time, for the country was in a very bad state of affairs. Peel would not support Catholic emancipation, which aimed at giving Irish Catholics the same rights as Protestants, and this made him unpopular in Ireland. But Peel did better as Home Secretary in the Tory governments of Lord Liverpool and the Duke of Wellington. In 1829 he founded the London Police Force and it is from Peel’s Christian name that policemen received their nickname of ‘bobbies’, although they were first known as ‘Peelers’. Peel reformed the criminal law by reducing the number of crimes for which people could be hanged. He also sought to improve the conditions in the prisons. It was during this time that he changed his policy about Ireland, and made a speech in the Commons in favour of Catholic emancipation. This made him unpopular in England, and also helped to break up the Tory party. Peel built up a new party from the Tories which became the Conservative party and still exists today. He was Prime Minister for a short time in 1834, and may have been so again in 1839 if he had not upset Queen Victoria by suggesting that she gave up some of her ladies-in-waiting who belonged to the Whig party. This the queen refused to do. 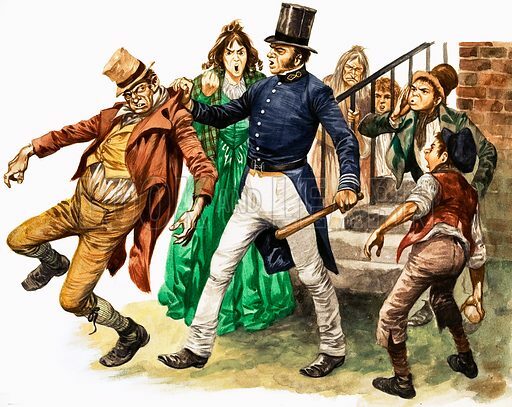 When Peel became the Prime Minister again in 1841, he improved Britain’s financial affairs and repealed (cancelled) the Corn Laws which were preventing thousands of poor people from buying bread because of the high price of corn. This angered many Conservatives. After the return of the Whigs to power in 1847, Peel gave them much support until his death on July 2nd, 1850, three days after falling from his horse on Constitution Hill in London. This edited article about the hare originally appeared in Look and Learn issue number 697 published on 24 May 1975. A Solitary hawthorn tree stands, stunted and deformed by the cold easterly winds that blow with bitter force across the deserted landscape. The quiet and peaceful scene is suddenly disturbed as, one by one, a group of brown animals emerge from their hiding places among the long grass. Gradually, the creatures assemble into pairs and groups. Seconds later, standing upright on their hind legs, the animals being to fight one another. 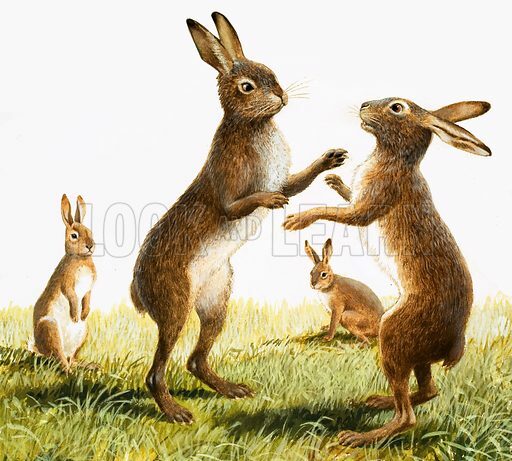 The annual boxing match of the British hare has begun. Across wild, open spaces, on downs or flat marshlands, brown hares can be seen performing their seemingly insane antics, grunting, kicking, bucking, boxing and racing at full speed in the March madness of their springtime mating games. Few animals can show the delight of motion better than the hare. March is the month to watch these fascinating creatures for, during the rest of the year they are nocturnal, cautious, creatures which stay crouched in their resting places in thickets of gorse and briars all day. This edited article about the Durbar of 1911 originally appeared in Look and Learn issue number 697 published on 24 May 1975. 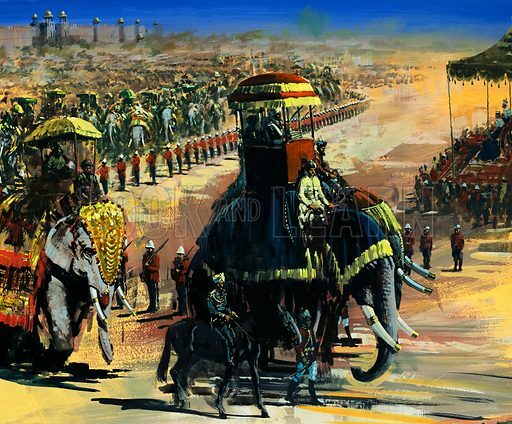 The people of Delhi were no strangers to those great state ceremonies known as Durbars, which had been held in their city from time immemorial. They had seen them held to celebrate the conquests of barbaric Indian princes, and they had seen them held under British rule. Most of them had been impressive affairs indeed, particularly the one that had been held to celebrate the proclamation of Queen Victoria as Empress of India in 1877. But even that particular Durbar had not stirred their imagination as the one that was now about to be held. It had nothing to do with the breathtaking pageantry that had been arranged, or with the fact that every arm of India’s fighting forces would be there to represent India’s military strength. Nor had it anything to do with the fact that the whole twenty five miles of Bawari Plain, just outside the city, was now covered with a sea of tents of every imaginable size and description, including one particular encampment reserved for the Indian princes, which consisted entirely of tents that were so large as to be able to include drawing rooms as comfortable as those to be found in the fine houses of any major capital. All this was familiar stuff, interesting and colourful enough in its own way. But hardly guaranteed to raise the emotional temperature of the city to the state of fever it was now in.